"Maxwell manages a slam-bang climax and the California wine business background is unusual and entertaining. " 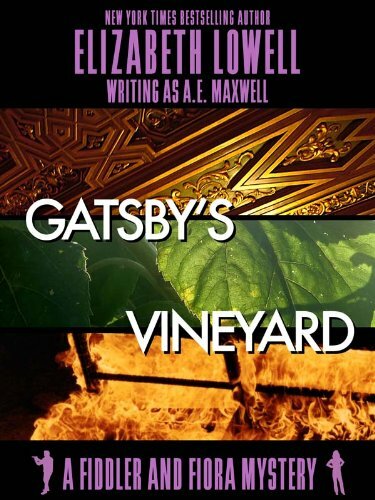 You might have heard of THE GREAT GATSBY, F. Scott Fitzgerald’s homage to a man with money and an impossible dream. The problem with that kind of dream is that it often ends up killing you. Sandra, an old friend of mine, had a gift for nourishment. In Napa Valley’s lush wine country, she put me together after Fiora and I split the first time. I owed Sandra for her simple, life-giving generosity. When trouble came knocking at her door years later, I was just the man to open it. But Fiora was dreaming her fey Scots dreams of danger and death. She wouldn’t let me go without her. Originally published May 1987 in hardcover, September 1988 and April 1993 in paperback and November 2009 in trade paperback.